Located at a short distance from Kurali Railway Station, GTB Starlite Kurali is a fine choice for outstation guests visiting Mohali. The rooms and spacious and bright with natural light streaming in from the windows. The decals on the wall make the space lively and the cushioned headboard adds to the comfort of the guests. 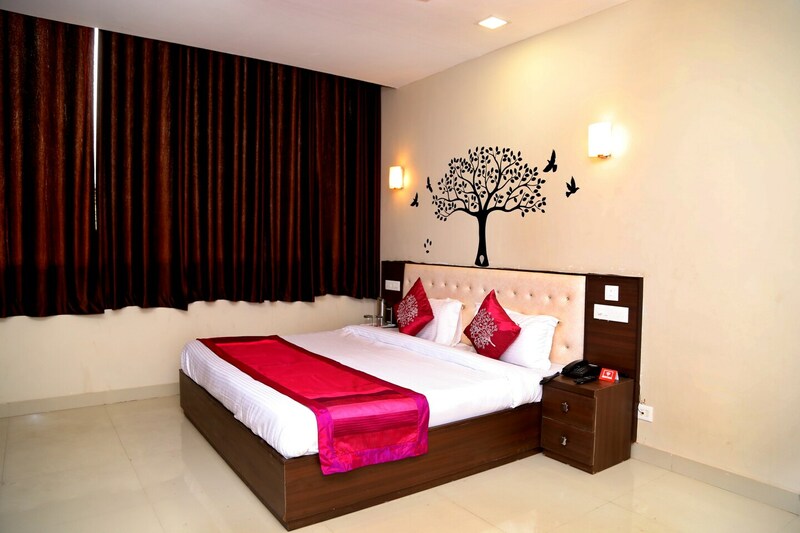 Various amenities ensure a comfortable and relaxing stay of the guests. The banquet hall can be used by guests for functions and events. The in-house restaurant here offers many delicious delicacies for guests. Power backup and CCTV cameras ensure the security of the guests. Various other amenities are provided here like free Wi-Fi service, elevator, geyser and parking facility for the convenience of the guests.